The pubcaster's festive slate includes a two-hour, B.C.-shot Murdoch Mysteries special and Larry Weinstein's one-hour doc Dreaming of a Jewish Christmas. CBC has revealed its programming lineup for the festive period, including a new two-hour Murdoch Mysteries (pictured) special and Christmas-themed episodes of The Great Canadian Baking Show, This Hour Has 22 Minutes and Dragons’ Den. Filmed on location in Victoria, B.C., Murdoch Mysteries: Home for the Holidays will air on Monday, Dec. 18 at 8 p.m. and again on Monday, Dec. 25 at 6 p.m. 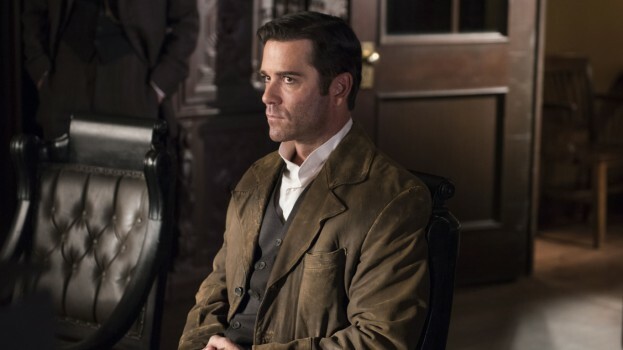 The Shaftesbury-produced special sees detective William Murdoch (played by Yannick Bisson) travel to B.C. to visit his brother and RCMP officer Jasper Linney (Dylan Neal), where they investigate a murder connected to an archaeologist (Megan Follows) who has discovered an ancient Indigenous settlement. Festive MOW A Christmas Fury, which continues the story of the Canadian sitcom Hatching Matching and Dispatching, airs on Sunday, Dec. 3 at 8 p.m. 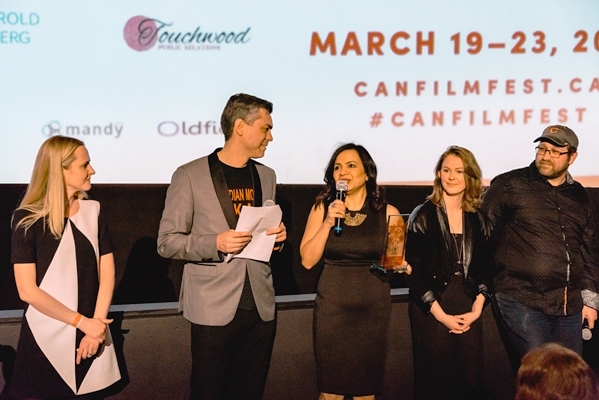 The two-hour comedy reunites the cast from the original show, including Mary Walsh, Mark McKinney, Susan Kent, Shaun Majumder, Jonny Harris, Sherry White, Joel Thomas Hynes, Adriana Maggs, and Rick Boland. The original version of Hatching Matching and Dispatching ran for one six-episode season on CBC in 2005. A Christmas Fury, produced by Rink Rat Productions and Insight Productions, sees matriarch Mamie Lou (played by Walsh) gearing up to make a life change until the arrival of a child derails her plans. Meanwhile, Larry Weinstein’s one-hour doc Dreaming of a Jewish Christmas makes its TV premiere on Thursday, Dec. 7 at 9 p.m. The project tells the story of a group of Jewish songwriters who wrote many famous songs including “Rudolph The Red-Nosed Reindeer,” “Have A Holly Jolly Christmas” and “Do You Hear What I Hear?” The project, produced by Toronto’s Riddle Films, filmed in Toronto in April. CBC will also premiere the half-hour animated special The Great Northern Candy Drop, from Ottawa’s Amberwood Entertainment, on Sunday, Dec. 17 at 7:30 p.m. Featuring the voices of Tantoo Cardinal and Lorne Cardinal, among others, the project tells the story of an Inuk bush pilot called Johnny May, who flies over Kuujjuaq in the Nunavik region of Northern Quebec to drop candy, toys and warm clothing to the residents of the community. As well, a Christmas episode of This Hour Has 22 Minutes: State of the World airs on Tuesday, Dec. 12, in addition to comedy special Ron James: The High Road (Sunday, Dec. 31 at 9 p.m.), JFL Gala – Montreal: An Intervention (Because We Love You) (Tuesday, Dec. 26, 2017 at 9 p.m.) and tribute concert Tower of Song: A Memorial Tribute to Leonard Cohen (Wednesday, Jan. 3 at 8 p.m.), which took place at Montreal’s Bell Centre this past fall. Christmas-themed episodes of various episodes will also air throughout December, including The Great Canadian Baking Show: Holiday Baking Week (Wednesday, Dec. 6 at 8 p.m.), Dragons’ Den (Thursday, Dec. 7 at 8 p.m.), The Goods (Monday, Dec. 11 through Friday, Dec. 15) and CBC Arts Exhibitionists Holiday Special (Friday night, Dec. 22 at 12:30).